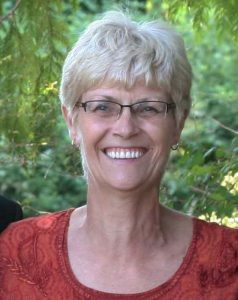 Shirley Ann Louise Life (nee Deyaeger) was born on May 5, 1950 in Nakusp, BC. She did her schooling in Kamloops, Calgary and Slocan. She married Wayne Life on November 1, 1968 in Nelson, BC. They have three children, Lia, Nanette (Joe) and Michael (Mavis), and three grandchildren, Christopher, Shelby and Samantha. Shirley is also survived by her sister Diane Deyaeger of Cawston, BC. Shirley, Wayne and family moved in 1969 to the East Kootenays for work. They moved around for Wayne’s job, which took them to the East Kootenays, Ontario, Montana and California. Shirley attended Selkirk College and completed courses in Short Order Cook and Office Management. She was a gifted baker, cook, seamstress, quilter, knitter, gardener, and she met many friends along the way. Shirley spent many enjoyable hours with knitting groups and the Kamloops Cotton Pickers Guild. Shirley was diagnosed with ALS in the Spring of 2017. She left to be with the Lord on February 3, 2018. A Celebration of Life will be held at Chase Evangelical Free Church at 1:00 p.m. on Saturday, February 17, 2018. Shirley was one of the kindest most generous people I have known. She was quick to smile, laugh and shed a positive light on things going on around her. She was very creative and talented in all of her hobbies and took delight in sharing them with friends and family. We shared many of our life challenges over 44 years, I will miss you my dear sister-in-law and feel blessed to have had you in my life. Until we meet again, love you. I am honored and blessed to have known Shirley .Shirley had the biggest heart, beautiful smile and such a contagious laugh. She loved her birds, baking, cooking, knitting ,sewing and loved her family so much. I would spend hours on the phone with her just talking about anything and everything. She always made time no matter how busy she was. My condolences to Wayne,- I know how much you loved each other, it was very clear how strong of a bond and love you had for each other. Michael, Lia and Nanette- My heart breaks for you all. Your mom loved all of you so very very much. I hope that our Lord brings you and your family the much-needed peace during this sad time. My most sincere condolences. We hope that Shirley’s love, life, kindness and everything that made her special will become many warm memories to cherish. Our heartfelt thoughts go to you Wayne, and to Shirley’s loved ones. With deepest sympathy we are sorry for your loss. So sorry to hear Shirley has passed. She was a loving, giving woman. She will be missed. My condolences to Nanette and her sister Lia and family. I am sorry for the loss of your Mom Shirley. Thinking of you at this most difficult time.